Truly wireless earbuds have been one of my favorite creations in the “tech” space in the last few years. 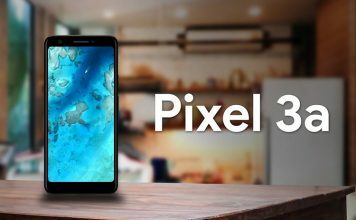 We’ve seen smaller independent companies bringing these to markets, but, lately, even some big names like Apple, Samsung, Bose, etc. 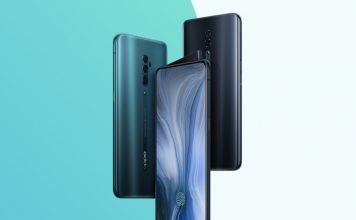 have started taking part in this game with their own version of earbuds with unique features to offer a superior experience that goes just beyond audio quality. 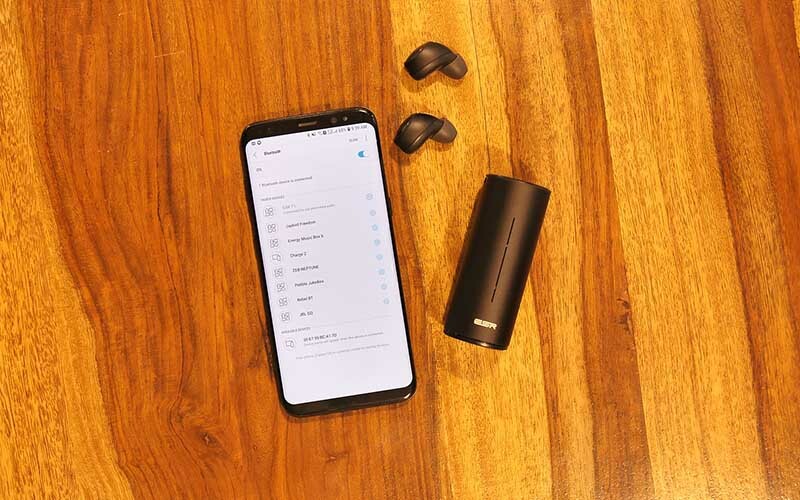 However, if you’ve been curious about making a transition into the truly wireless realm of earphones without breaking your bank, then ESR’s truly wireless earbuds with an asking price of $50 (~3,500 INR), should definitely be on your list. You must be wondering why I didn’t mention design as one of the critical criteria earlier. Well, that’s because most truly wireless earbuds don’t impress me when it comes to design. 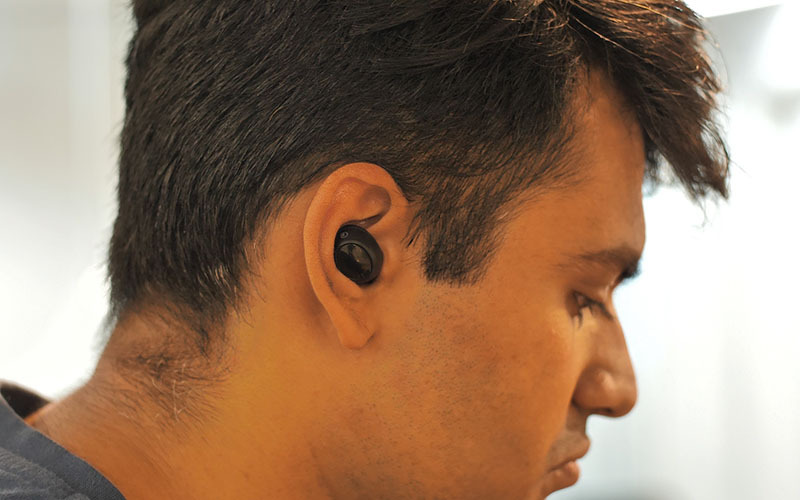 That said, I do think that the ESR’s pair has a low-profile and inconspicuous look when compared with something like Apple’s AirPods (11,999 INR) or Bose’s SoundSport Free (21,999 INR) that stick out of your ears to a point where they are immediately noticeable. We have the black variant of the ESR truly wireless earbuds, but, there’s also a white variant which I believe would look equally good. They are made out of plastic, which, works perfectly fine. But having more metal to the touch or even a rubberized coating to give it a bit of texture would have been nice. But I like the way the earbuds feel when you put them on. It is, however, worth pointing out that these earbuds don’t come with any IP certification, which makes me believe that it offers no protection against dust or water whatsoever. But, you do get a carrying pouch if you want to tuck the whole thing to protect it from rains, etc. 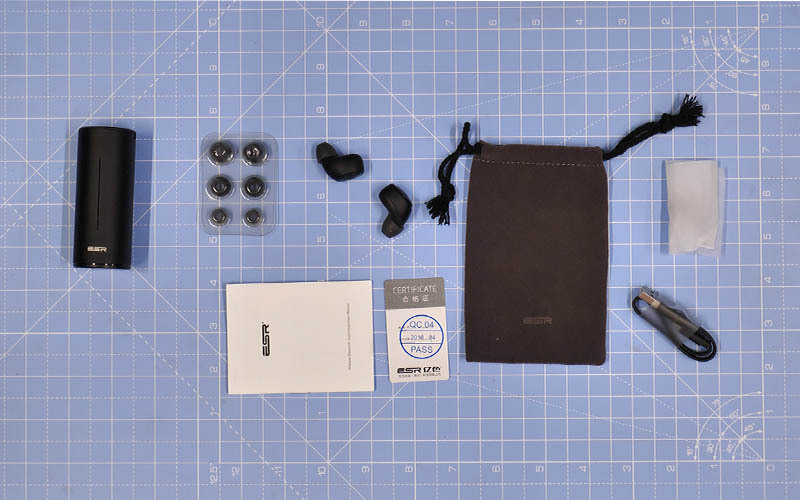 The earbuds are magnetically held inside the charging case, so, you won’t end up losing either earbud as long as you are keeping them inside the case. The case is rather small and I love the fact that it doesn’t have a clamshell-style design. However, the cylindrical shape doesn’t make it pocketable, so, you might have to throw it into your backpack. The ESR earbuds have buttons with which you can do things like control music, receive calls, etc. I like how ESR has retained the buttons instead of offering some crazy touch controls. Yes, it might be due to the associated cost, but, I personally prefer physical buttons over the finicky touch controls any day of the week. More on that later in this review. Overall, I’d say that ESR has done a commendable job when it comes to the design. They’re subtle and look relatively normal. Plus, they don’t stick oddly far out from your ears or have long stems either. Although the ESR earbuds are slightly bigger than your average wired in-ear earbuds, they are not heavy. They feel nice and comfortable even if you have them seated in your ears for long hours. Also, as mentioned earlier, the earbuds are accompanied with a bunch of extra ear tips. I liked how the stock ear tips felt in my ears, but, I preferred using the Comply foam tips, which are also included in the box. Comply foam tips, as we all know, provide superb noise isolation by giving you a snug fit. Even with the medium-sized silicone tips, the earbuds stayed put and never budged. It all comes down to finding a good fit, so, your experience may vary. The earbuds, however, don’t come with ear hooks. It is not a deal breaker for me personally. In fact, I hate ear hooks as they keep bugging me and makes me conscious about having something in my ears. 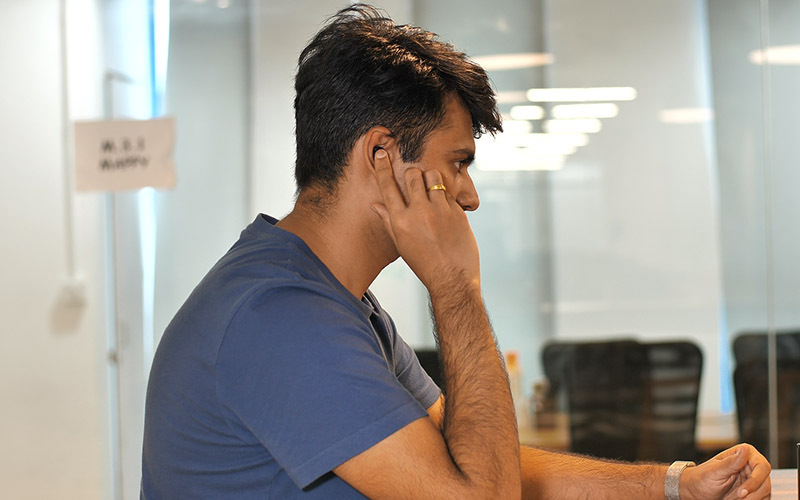 You can read my colleague Akshay’s review of Mivi ThunderBeats Bluetooth earphones, to know exactly what I am talking about. Now, in case you’re wondering if you can wear the ESR truly wireless earbuds to the gym for workouts, I’d say you’ll be perfectly fine doing that. I mean, you won’t have to worry about the earbuds falling out while running or pushing heavy weights, but, you might have to be careful about the sweat getting into the earbuds. They are not water resistant, remember? Before I get to the sound quality, I just want to say that the ESR truly wireless earbuds have great connection reliability. Yes, we’ll discuss more on this later, but, I was truly impressed to see how both the earbuds were connected and were in sync throughout my usage. That’s not something that I can say for a lot truly wireless earbuds that I’ve used, some of the more expensive offerings included. Now, coming to sound quality, I’d say I have mixed feelings. They don’t sound awful by any means, but, they are not exceptionally good either. The ESR wireless earbuds aren’t as loud as I like my earphones to sound, but, they deliver crisp and clear audio quality. I also feel the mids lack sometimes, but again, that varies by track. They don’t have strong bass, but, neither do a lot of other truly wireless earbuds. I’ve been listening to a lot of songs by Børns and James Young recently, and I am glad to report that these earbuds haven’t ruined the experience for me. They do a great job of distributing the vocals and instruments between the left and right channels. Yes, I did miss the sound quality of my wired in-ear earbuds, but, I wasn’t desperately looking to go back. So, here’s the thing about the sound quality of truly wireless earbuds – I have used a lot of truly wireless earbuds including the Apple AirPods, and honestly, they are not great either. Yes, of course, some other options like the Bose SoundSport Free are comparatively better, but, it won’t be fair on my part to compare a pair of earbuds that cost around $50 to something that cost close to or upwards of $200. 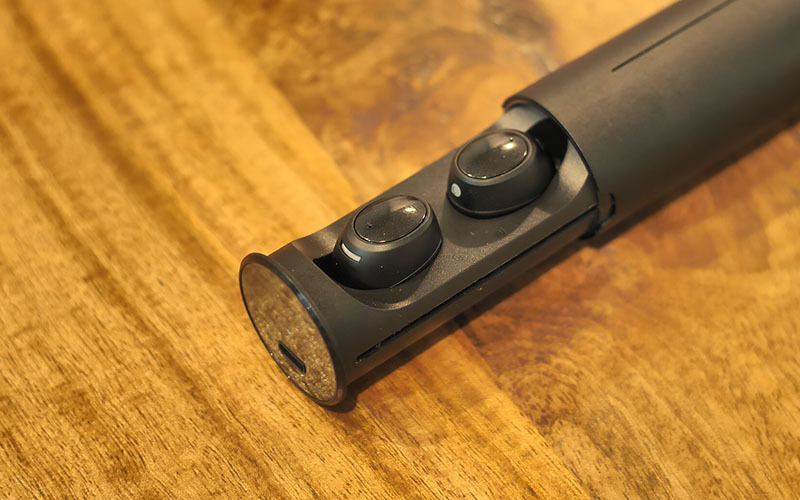 So, yes, the ESR truly wireless earbuds are not as good as audiophile-grade headphones or even some wired in-ear earbuds, but, that seems to be true for almost all truly wireless earbuds on the market. The ESR’s truly wireless earbuds are pretty good when it comes to usability. I like how the earbuds turn on automatically when removed from their case. From there, you don’t have to press any buttons to get them to pair either. You take them out, and they’ll show up on your device’s Bluetooth settings. Once done, you don’t have to worry about pairing the earbuds over and over again every single time. The next time you take the earbuds out of the case, they’ll pair with your phone or tablet instantly, and you are good to go. After you are done with the super easy pairing process, you might want to take a look at the controls. Tapping the button once (i.e., the back side of the earbuds) on either earbud will play/ pause the music. You can use the same command to answer a phone call when you receive one. You can press twice to skip to the next song or press thrice to go back to the previous song. Lastly, you can long press on the button to hang up a call. There is no button to turn the earbuds on/ off since it is done automatically, and there are small LED light indicators to help you figure that out. The buttons, in case you’re wondering, are nice and tactile. You can press them easily without hurting your ears. 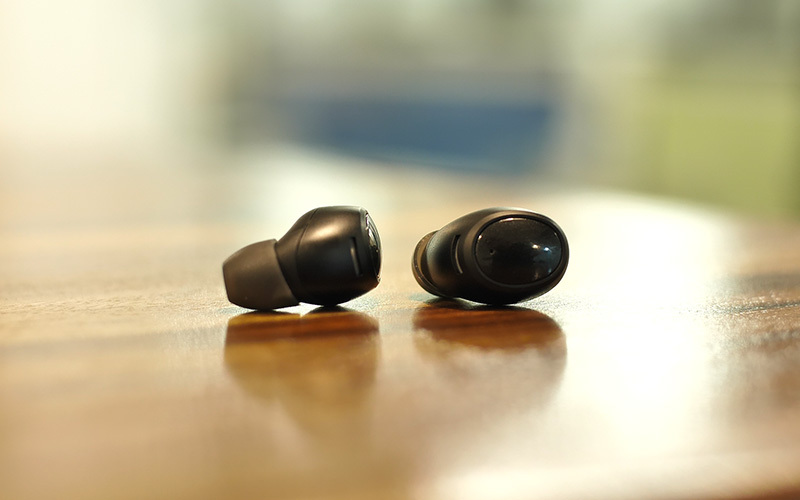 The ESR truly wireless earbuds come with Bluetooth 4.2 and Qualcomm’s CSR chip for connection. Technical terms aside, I’d say these earbuds are very reliable when it comes to connection. I never had to go through the annoyance of having to re-connect the earbuds manually while listening to music. The connection range, in my opinion, is also pretty decent. 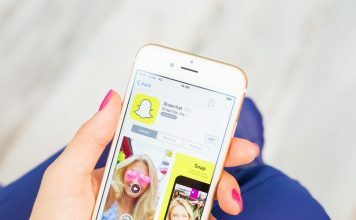 Although I won’t recommend you to leave your connected device behind and walk over a long distance, I can definitely say that you can use it reliably within a distance of around 8 meters depending on the obstacles like walls, etc. in the way. 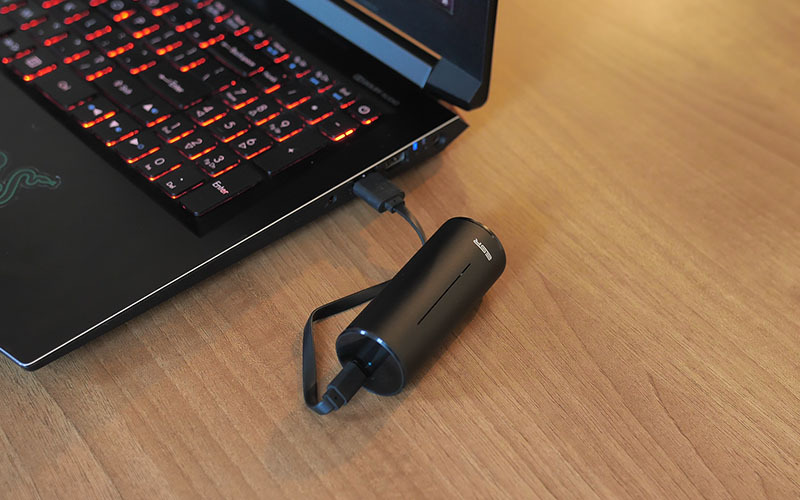 I tested the ESR truly wireless earbuds with my Samsung Galaxy S8, Predator laptop with Windows 10 and MacBook Pro. A lot of people stay away from truly wireless earbuds mainly because of connectivity issues. However, I can confidently say that you can choose to go truly wireless without having to make that sacrifice with the ESR wireless earbuds. The battery life is where the ESR’s earbuds can use some work. 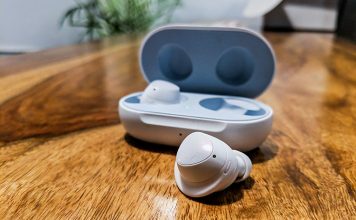 Although the earbuds live up to the company’s claims of 2.5 hours of playback on a single charge (sort of), I won’t say that’s really commendable. Two and a half hours is still relatively less. Yes, you can charge them quickly by putting them back into the case (which has a 400 mAh battery), but, what if you are listening to Drake’s new album on repeat mode? You don’t want to pull out the earbuds and stop listening just because the buds ran out of charge, do you? The fact that ESR case charges over Micro USB can be a deal breaker for most people, but, I haven’t had any issues mainly since the included cable is short and it charges fairly quickly. In case you’re wondering, the charging case can completely charge the earbuds twice, giving you an effective battery life of close to 8 hours when you have a fully charged case with you. 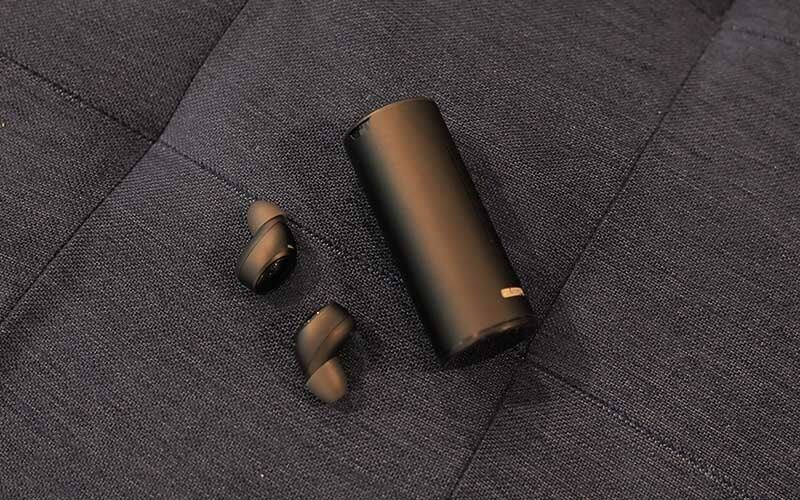 ESR Truly Wireless Earbuds Review: Worth Cutting The Cords? 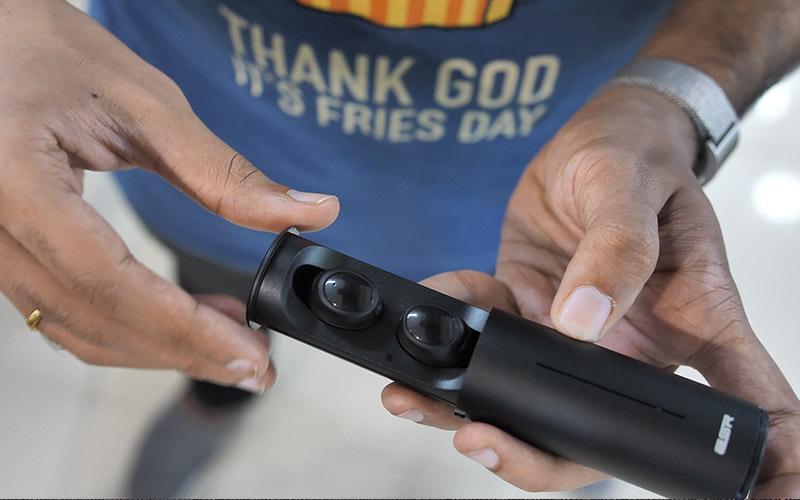 To wrap this review, I’d say the ESR truly wireless earbuds are pretty good for the asking price of $50 (~3,500 INR). Yes, there is nothing particularly unique about them or they are not really a benchmark product in this category, but, I feel they justify the price tag and do what they are supposed to do, which is to offer decent audio quality with a reliable connection. However, if you can spend some more money to opt for better quality, then you might want to check out other options like Jabra Elite 65t that’s priced at $127 (~8,500 INR) or Bose SoundSport Free ($199). But again, they are much more expensive than ESR’s earbuds and are not in the same league. Alternatively, if you don’t mind having some cords, then check out Mivi ThunderBeats (2,999 INR) or OnePlus Bullets Wireless (3,999 INR). Also, the ESR truly wireless earbuds are not available in India. 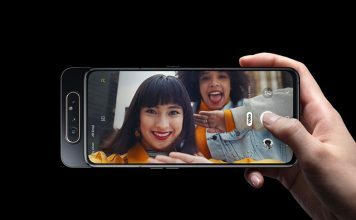 They are available on Amazon.com, and it ships to India, but you will have to pay an additional shipping and import charges. However, you can get a 34% discount by using this custom code “JJNJE3T2”, which kind of balances things out. For the asking price of $50, the ESR truly wireless earbuds are definitely worth checking out. They are not going to blow up your mind with the audio quality, but, they are snazzy and they got a lot of things right.